Total ban on smoking in indoor public places in Shanghai , individuals who smoke in non smoking places and don't accept discouragement will be fined 50-200 yuan. Shanghai public place smoking control ordinance amendment passed yesterday, March 1st next year, Shanghai will enter the indoor public places "comprehensive tobacco control" era. 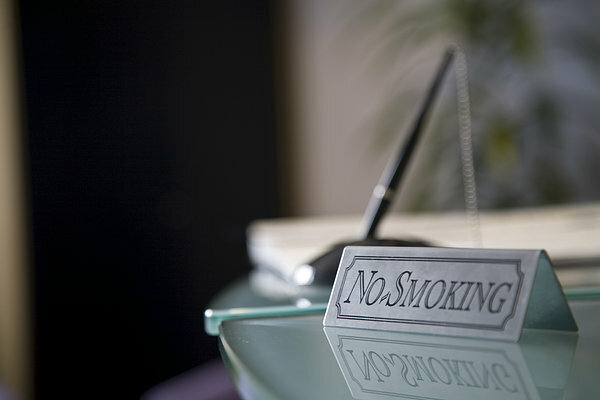 The revised tobacco control regulations have expanded the scope of smoking ban in public places, and banned smoking in indoor public places, indoor workplaces and public transport. In violation of punishment, the new rule is clear, the scope of smoking units violation, punishable by a fine of two thousand to thirty thousand yuan. Individuals who smoke in non smoking places and don't accept discouragement will be fined 50-200 yuan.